Within each of us lies the potential to live life to the fullest. We have the ability to choose our own destiny, live without fear or limits, challenge ourselves and grow, do and be whatever makes us happy. We have the ability to be free. It's how you live a Wildway of life and there are people all around us inspiring others with their actions. We want to celebrate that by highlighting and honoring those who #LiveWild. Taylor's Outlook = " ""Everything happens for a reason, and things always work out how they are supposed to." Every time I come across a hurdle in life I always remind myself of this. Being positive produces positive outcomes. Meet Taylor. Taylor is one of the toughest girls I know - physically AND mentally. She's able to push herself to places not many of us can. 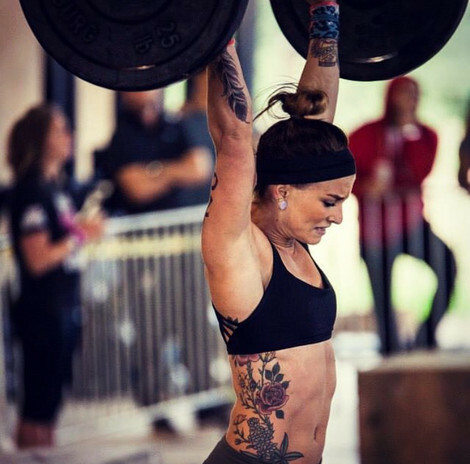 Her mental agility has enabled her to reach new levels in the gym and kicked some serious booty at CrossFit competitions. She's an all-around badass, that we can all take notes from. 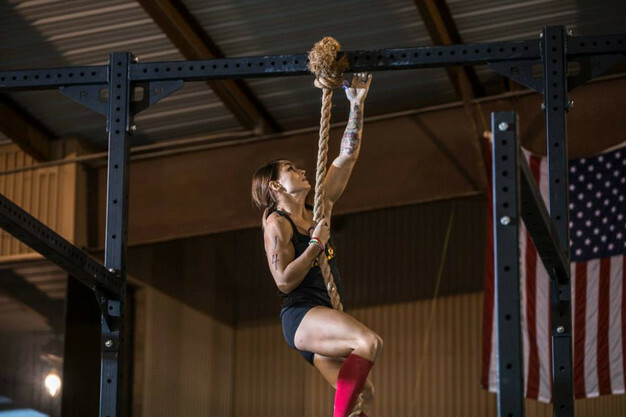 “I started my Wildway of life about three years ago when I tried CrossFit for the first time. I had always been active growing up but never really got into the gym scene, so CrossFit seemed a little intimidating at first. After my first workout, I felt exhausted, but at the same time so revived and refreshed. I haven't looked back since, and still continue to push myself everyday in the gym. 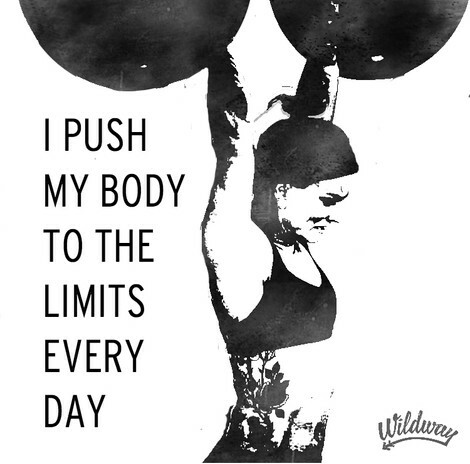 I'm an avid CrossFitter and push my body to the limits every day. Going to the gym is my release from the day-to-day stress of owning my own business as a hairstylist. I became a CrossFit coach about 2 years ago because I wanted to help other members in our gym. It's so fulfilling to see our members reach their goals and knowing you helped them. The best part about coaching goes along with why I became a coach. I absolutely love seeing others reach goals and overcome obstacles they never thought they could. It's so rewarding as a coach." When I was talking to Taylor, she mentioned that as an athlete, she needed to "go to that really dark place" to push herself beyond her limits. I asked how she was able to do that, since that kind of mental agility is so rare and extremely tough to achieve. 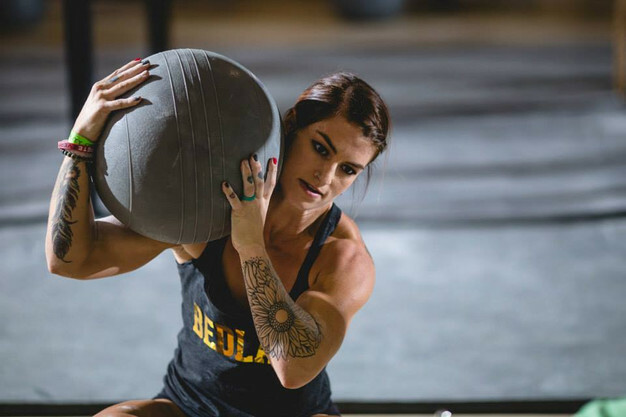 "I get there by shutting everything off, just not thinking about the movements or the reps, just move with my body. I know I have achieved that when I'm really hurting and I just say to myself, 'come on you can do this'. Doing competitions with a team really helps me get deeper into that dark place because I know that if I quit, I'm letting my whole team down." Thank you Taylor for being an inspiration to us all. Want to be a part of our Wildway Crew? Submit your story here. At Wildway, we like to work hard ﻿﻿and play hard. That's why we made sure to have some fun after Expo West. Read about our weekend adventure at the beach and watch a video of Team Wildway exploring Venice, CA!